What role does Asset Allocation play when you plan your investments ? Why is Asset Allocation so important ? Does Asset Allocation apply to wealthy people ? How can you do it yourself ? Who can do it for me if I need assistance ? When is the right time to do asset allocation ? What do you do once you know your asset allocation ? I am sure you will resonate with all or few of them but to search answers and guidelines is a struggle. We understand this dilemma at FPGI and here is a simple and effective way to understand and clear the concepts , which would help you action that is the goal of this blog. .
Let’s try to answer this question ” Would you like your entire investments to behave in similar pattern ? ” Let’s take a simple example of bank fixed deposits. Imagine interest rates are being lowered by the bank everytime you try to renew your fixed deposit . How would you feel ? Needless to say that the feeling is of feeling restricted , since the choice is limited as most banks would offer similar rates. To circumvent this many people try to invest into sub-standard deposits of banks or co-operative societies or even chit funds which is taking more risk to earn a better interest rate. 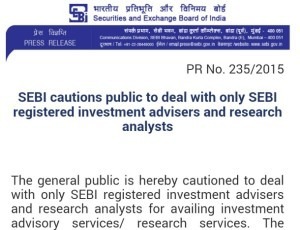 This is a common mistake done by investors and at times it becomes a case where return of money becomes the centre point, we have witnessed these cases isn’t it?. An Asset Allocation is a simple technique to divide your savings and investments into buckets which have low connection with each other – for example if bank fixed deposit interest rates are coming down, equity oriented mutual funds will be going up, or say PPF rate will be stable. Now what this means is that different assets behave differently at the same time, and your total investment value may go up or down basis how much asset has pre-dominance but the magnitude of this change may not very high due to the allocated amount being distributed among various types of assets. This is what is called as asset allocation. Why is asset allocation strategies so important ? Again taking reference from the above question , investment decisions have an emotional bent – for example investments in real estate. Indian investors attach very little risk to real estate, may be because we have seen 15 years of real estate returns and taking cues from that performance investors are expecting that similar performance shall be repeated for next 15 years . Do you know real estate markets in Dubai , Japan , Spain , Portugal , United States have seen massive correction, leading to investors who have exposure in real estate, having to bear losses . Each asset class has its economics , here we are not suggesting that indian real estate will witness a drop, the question we are asking here is that how do we insulate ourselves from the market vagaries. There are no simple answers since different assets move in different asset cycles which can be 1 year to 1 decade to even 2 decades , but if we have asset allocation understanding an investor will not see himself stuck in a situation when getting out means a loss of wealth or wealth destruction as we call it. Asset Allocation ensures that when one part of your portfolio is down your overall portfolio does not become volatile. Infact Asset Allocation is such a principle of wisdom that it applies to everyone – wealthy or not. Infact research has shown that investors can get wealthy by following the principles of asset allocation. Asset allocation ensures that investors have a scientific approach towards deploying money in good markets and bad markets as well. There are couple of risk profile tests available that you can look up online, take one and respond to the questions. Basis your responses you get a suggested risk profile and allocation. Allocation means a mix of assets e.g equity , debt , gold , cash . You broadly need to understand the appropriate mix for you. This is also called as strategic asset allocation. But strategy also depends upon other factors as the goals, experience in investing, time horizon to fund. So to say that the risk profiler and suggested asset mix is hundred percent correct may not be right but it broadly sets a context to the entire exercise which you can follow. A Financial Planner can help. A financial planner’s role is to help interpret the risk profile and arrive jointly at an asset allocation for clients. Planners often work with licensed tools which are far dependable. If the risk profile and asset mix interpretation is done correctly, in the longer run it helps meet a clients’ investment expectations. In shorter run, it provides the required direction to act as and allocate funds to investments as per the asset allocation . Now is the time if you have not done any. We strongly suggest not to wait to check you current allocation. By this checking you will know the gaps. Self owned real estate will not be a part of the asset allocation . But if you have an investment asset in real estate , it can be bucketed into equity since both are growth assets . When you do this exercise you know the gap and the corrective actions that you must take, if any . What do you do once you know your asset allocation strategies? Understand the next level, check the costs involved in exiting certain investments and correcting your asset mix. Sometimes it may not be possible to correct right away but keep that in mind that you run a risk of capital erosion if your assets are allocated into riskier asset class although your current risk profile does not allow that . Alternatively if it is the reverse then the you run the risk of not building enough wealth for the saving and effort you put when the asset allocation suggests you should be more aggressive. Nevertheless, understanding your current asset mix situation would surely help, so be aware before its late. We will be eager to know your views on this blog and asset allocation topic in particular. "Vivek has functional experience as an Investment Adviser for over 10 Years in the Investment Advisory Industry. Possesses a rich finance background and with an Inter CA degree from Institute of Chartered Accountants of India and a Certified Financial Planner from FPSB India & Advanced Diploma in Business Management from ICFAI. Vivek continues to write articles and voices opinions in ET Wealth, Business Standard, Economic Times, Money Life, DNA Money, Wall Street Journal & Financial Planning Journal as a part of his contribution to the industry. Vivek also conducts trainings for Corporates on topics which create Financial Awareness among members and helps them see finances in a more structured manner."